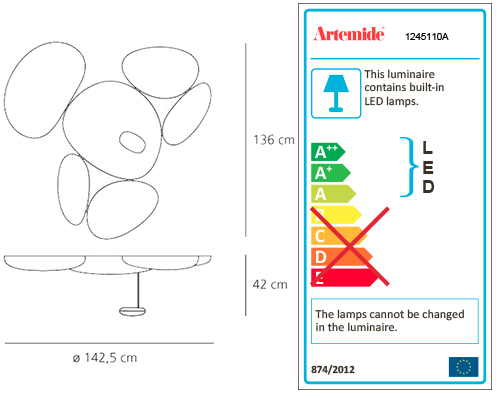 ARTEMIDE SKYDRO LED is a ceiling lamp. Integrated LED not replaceable, 2700K, 29W, 1554lm, CRI=90. Dimmerabile (Push).